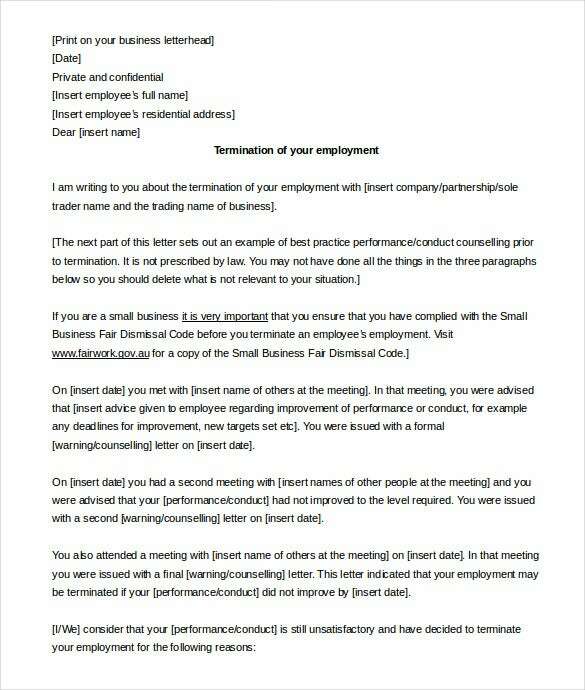 11+ Employment Termination Letter Templates – Free Sample, Example Format Download! 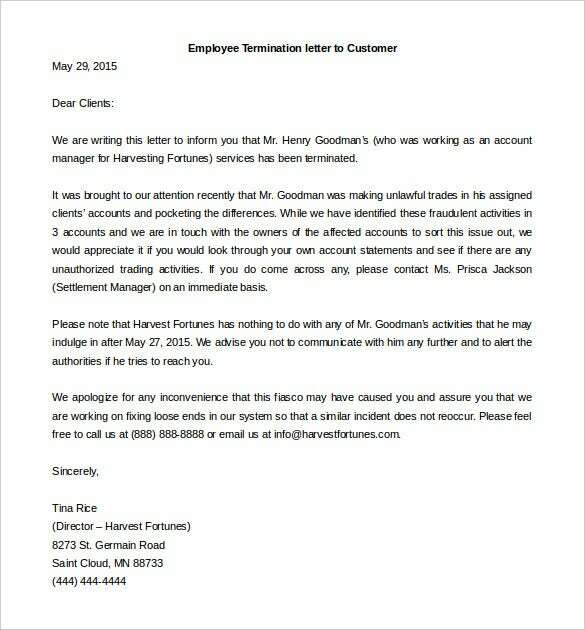 An employment termination letter is carries the legal weight used in termination any form of employment. 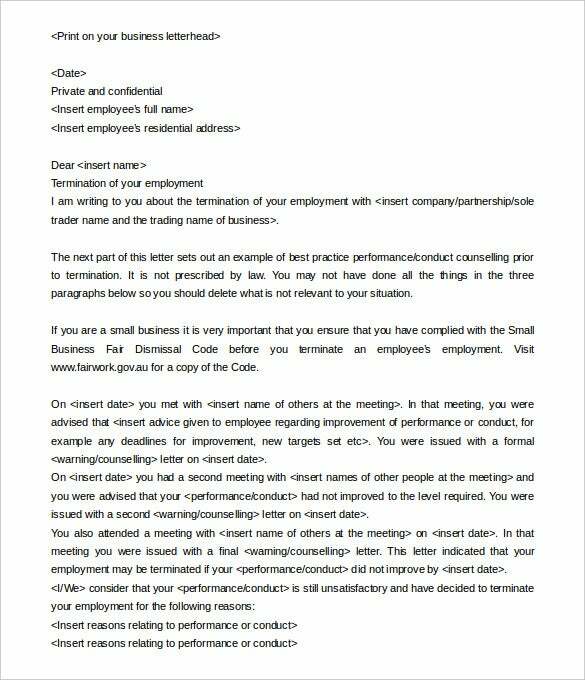 The job termination letter is normally written by the owner of a business or from a company to an employee whose services are no longer required due to specific reasons or conditions. 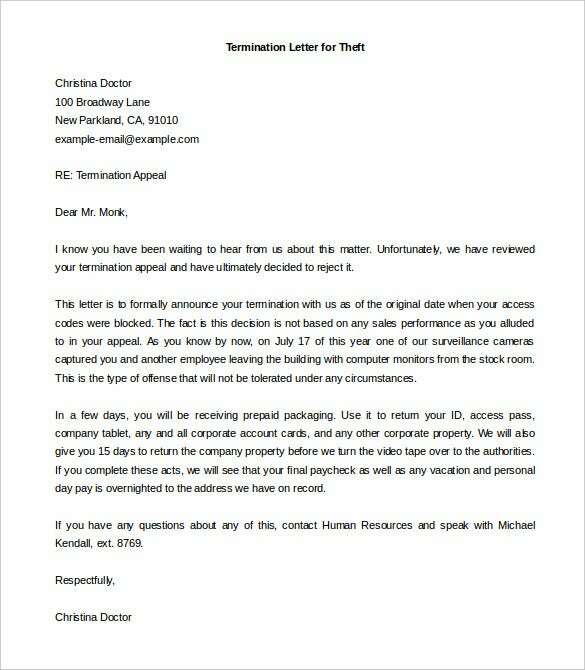 As with all official documents, an employment termination letter should follow due protocol. It should project professionalism and any personal issues should not be included. Conditions, terms and reasons for termination of the employment should be clearly expressed. 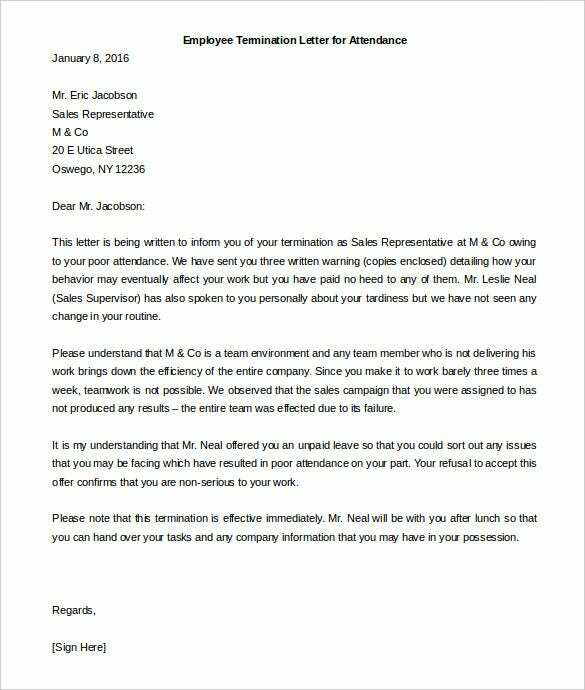 Regardless of the condition at the time of employment termination letters, respect and soberness should be observed. 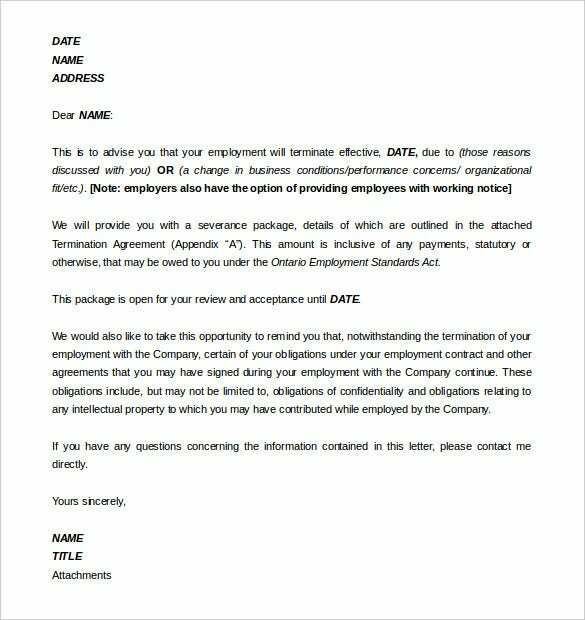 fairwork.gov.au | If you are looking for a sample employment termination letter template which will help you to draft the perfect termination letter, then you should use the free termination of employment letter template sample. 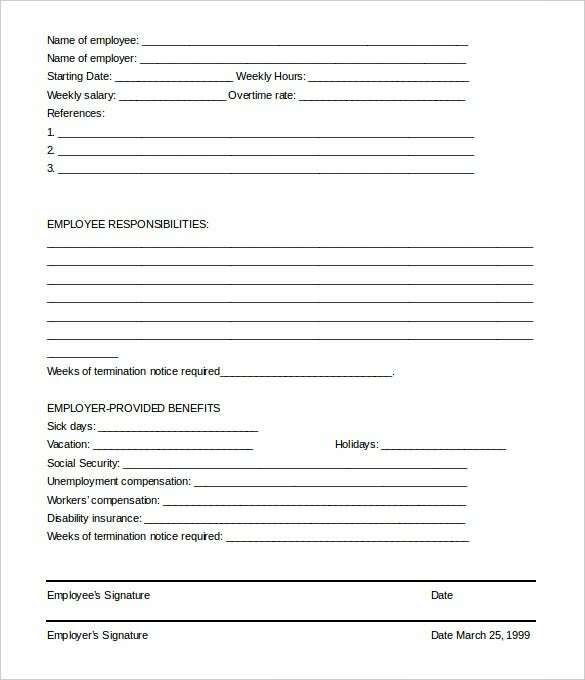 marsdd.com | This employment termination template has a simple and basic layout. The user doesn’t have to do much except may be revise or completely change the text. The template is completely editable and customization, so you can ensure the draft suits the corporate standing of your company. taxpayer.com.au | The sample employee termination letter with notice period for free is a superbly drafted sample employment termination letter template which helps you to draft any type of termination letter you want. eoss.asu.edu | This free employee termination sample is another choice you can check out and use. As the resume is already made-up, users don’t really have much to do, other than inserting the employee information and, employer’s responsibilities, and the letter is all ready to go in for a print and be handed to its recipient. 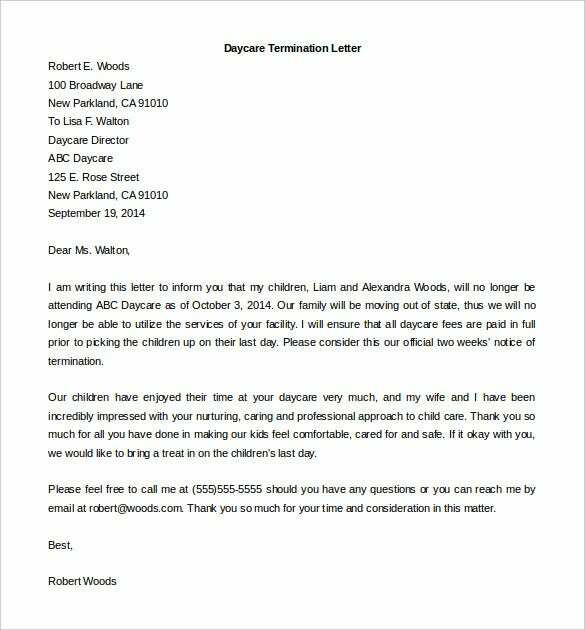 livecareer.com | If you have to terminate the contract you have with the day care services, then you should definitely need to use the download day care employee termination letter sample printable. 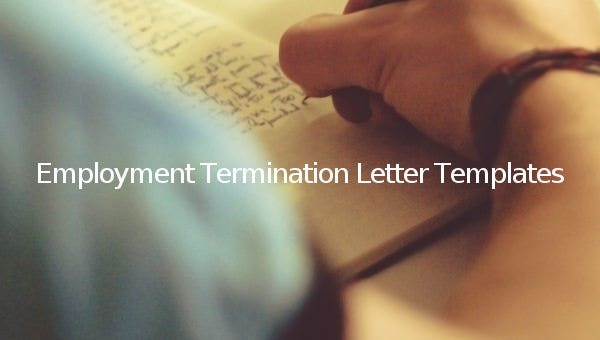 shrm.org | The sample editable employee termination letter job abandonment is a well drafted and fully customizable and editable sample employment termination letter template which will be the perfect option for your need. 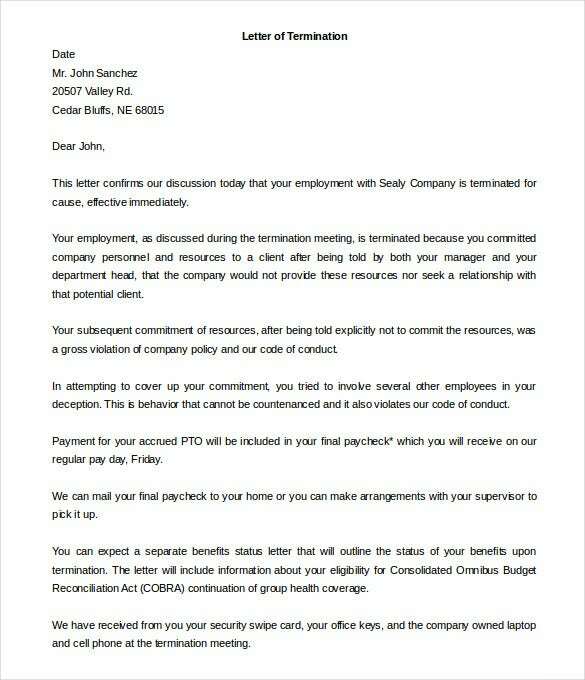 humanresources.about.com | The free download employee termination letter for cause sample is a well written and well drafted sample employment termination letter template that is used to terminate the employees for reasonable cause. 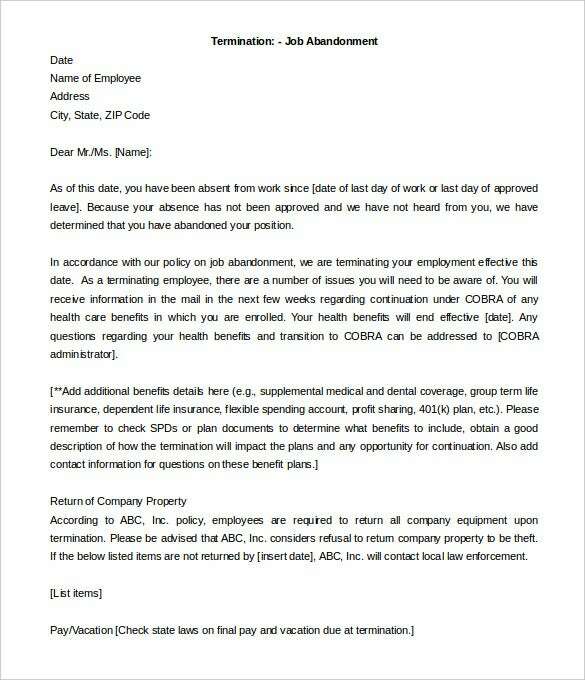 esampleletters.com | If you have to terminate an employee for poor attendance in office and you are looking for a sample employment termination letter template, then use the editable employee termination letter for attendance example. 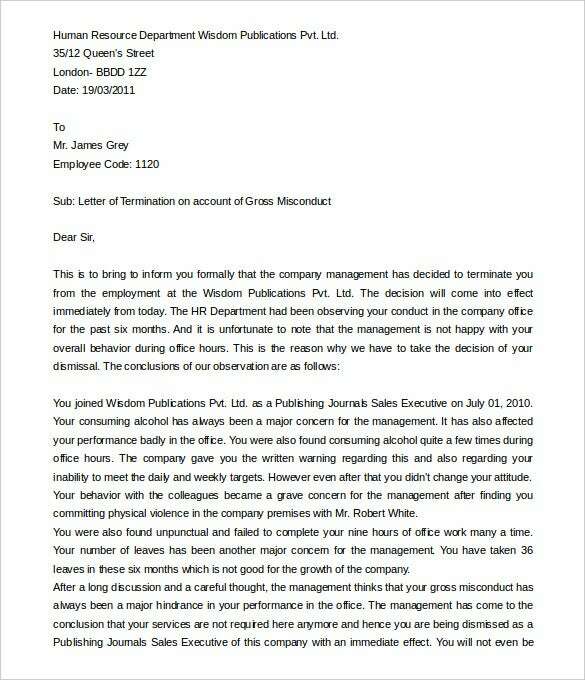 livecareer.com | The free download employee termination letter for theft in word is a well written and well drafted sample employment termination letter template which is used to let the employee know about the decision after appeal.